Pisces is the 12th and the last Sign of the Zodiac, and so it takes in all the different attributes of all the 11 Signs before it. 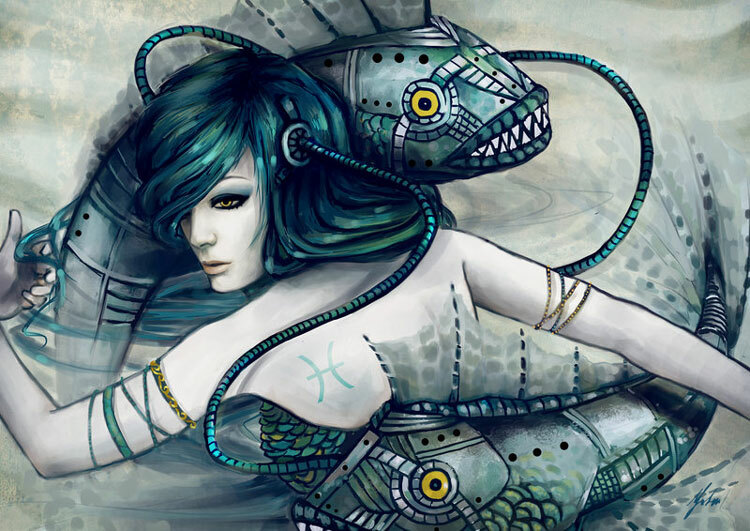 Pisces is the happiest among all, as it takes in many of the characteristics under its belt. Pisces are truly selfless, they help others without hoping to get anything back. Pisces are spiritual, and extremely focused on their inner journey for finding peace and harmony. Pisces effortlessly rides with the flow and do not produce waves. Pisces is represented by a pair of fish. Fish is extremely glad to be regarded as fuzzy, as there’s a definite feeling of security in that self-proclaimed underworld. However, they will not stay hidden for long, as one of their main goals is to help others. Pisces are charitable, compassionate and will promptly place the needs of others before their own. It’s this type of self-sacrifice, which enables Pisces-born to move on. In love and relationship, Pisces-born are extremely faithful, loving and caring of their mates. Pisces respect and admire their life partner and support them in every respect. Pisces are never judgemental and always forgiving. Pisces-born are the most tolerant and kind compared to all other Zodiac Signs. Pisces love their children very much, and so they encourage and fully support them in every stage of their lives. Pisceans love to dream, be it about themselves or about their near and dear ones. They love to dwell in their dream world. They hardly notice any other person, when they are engrossed with their job. They love to create new things and innovate new ideas. They are intellectuals, who set the rules for themselves. They are very sensitive by heart. Pisceans are very lazy. They do not feel any push to stand and do something for themselves. Very often, the Pisceans react tentatively. Decision making troubles them the most. They are oversensitive and this trait often becomes irritating for others. Pisceans are often considered as the escapists, for the simple reason that they always avoid uncanny and problematic situations, where they may have to face troubles. Emotional: They are emotional and sensitive. The slightest of discord and they will start dropping tears from their eyes. But they are very compassionate and kind-hearted, the one kind, who has mercy for all. Artistic: Creativity is the middle name of the Pisceans. They are born creative and their creativity is beyond any boundary. They can shine if they go into creative fields. They have special interest in music. Honest: Pisceans are sincere, responsible, and honest. If you confer them any responsibility, be it in personal life or professional life, they will never ever disappoint you. Intellectual: Pisceans are intelligent. They are always noticed for their intelligence and insight. Their approach towards life is very positive. They are hard working people in the work place. If they are sure about the goal and they can do anything to achieve it. They are often identified with their hard word and diligence. They often excel in their life, when they blend their creativity with their hard work. Extravagant: Pisceans are wastrel. Whatever they do, they do not know how to limit themselves. They love to indulge in excess. But they want to impress others by their extravagance. Pisceans in general are gentle, patient and good natured people, who are kind and compassionate to other’s sufferings. Their helping nature has made them quite favorite with others. They are of easygoing and friendly disposition. Pisces is somewhat a passive sign. Although they are endowed with the great power of imagination they use their ability to create their own world of dream and avoid reality. Pisceans are the dreamers of the zodiac chart. They create a world of imagination and spiritualism and live into it. Their world of imagination might or might have a connection with the real world. They have a tendency to avoid conflict and hence take refuge in their imaginary world. They often don’t try to defend their views. But if they know they are right, Pisceans have the courage to stand up for their causes. They can also work hard for something they believe in. 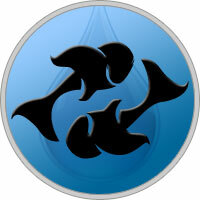 Most Pisceans have a spiritual bent of mind and are often involved with spiritual societies and organizations. Pisceans have a good understanding of people and are sensitive to people’s needs. They would go a great length to help others. Their benevolent nature makes them popular with people. Also Pisceans are the most sensitive of all the zodiac signs.